City fares increase by 10c to €1.80. Potential fare of 12+ zones, increasing by 10c to €2.10 - this has not previously applied in Galway - not yet clear if it applies on any cross-city routes introduced during 2012. School-child city fare increases by 5c to €0.85. Monthly ticket price increases were announced earlier. DayPasses are not subsidised, so their pricing is not approved by the National Transport Authority. They are likely to increase - the amount is to be advised. 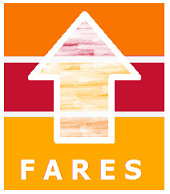 Fares on these services are also increasing: the amount depends on the distance travelled, but is approximately 6%. Intercity fares on the Galway services are increasing by between 1 - 3%, depending on the distance travelled and ticket type.